The two cornerstones of innovation in moving India to a cashless society are actually technologies that have been around for a very long time: feature phones and QR codes. BharatQR is the interoperable QR code-based payments system that will let Indian consumers pay from their bank account, credit or debit card merely by scanning a code. And, just as important, allow the vast majority of Indian merchants to go digital without a big, expensive equipment upgrade. It’s an amazing story of innovation — and ingenuity. India is pushing aggressively for a cash-free, or at least a very cash-lite, future. The first step of that process happened in November when the Indian government moved to ban all 500- and 1,000-rupee Indian notes. The large bill ban had a big effect — by some estimates, the move took as much of 85 percent of India’s cash out of circulation — and the implementation of the demonetization scheme designed to curb corruption and blunt terrorism, in addition to bringing Indian consumers into the digital financial mainstream, had an effect that most might charitably describe as rocky. Less charitable characterizations were “debacle” (The Wall Street Journal), a “miss” (Entrepreneur), a “distraction” (Diplomat) or a “mess” (Forbes). And while the descriptions may be a bit hyperbolic, they weren’t necessarily mean-spirited barbs from Luddite journalists. Industrial production is down 0.4 percent since December, and most analysts estimate that the demonetization will take a 25–50 basis point bite out of India’s FY2017 growth rate. That said, the more headline-grabbing issues related to the sudden disappearance of cash from the marketplace have more or less been absent from large cities like New Delhi where the switchover to using digital payment systems like Paytm seems to have quickly started taking root. In fact, Paytm reports that it is now doing about 7 million transactions per day in the country. But rural areas are another story — where ready access to the internet is still uncommon. And even where it exists, local knowledge of how to actually use it remains pretty thin, particularly among women. The result? To access the money, rural villagers are traveling to ATMs in “local” towns. “Local” because there are currently fewer than 20 cash machines for every 100,000 adults in India, and that number is lower in rural areas, meaning how close the local ATM is can vary quite widely. Plus, when villagers get there, they can count on waiting in line and cash limits. That means consumers are less liquid for purchases, businesses are selling less and employees are losing jobs because companies are unable to pay them. But India’s government — looking to curb the myriad abuses a heavily cash-centric culture tends to carry with it — is determined to help push the country off cash. India’s prime minister recently noted that “technology can empower even the poorest of people,” and that the government is prepared to give lessons on how to use mobile devices for payments. Lessons that, as of today, will be even more useful, given the launch of BharatQR to enable people to pay for things they purchase without resorting to either cash or swiping a plastic card. Instead, merchants can ask shoppers to scan a QR code and make payments directly from their bank account. Using any kind of phone they happen to have. One of the biggest problems merchants and citizens faced in the aftermath of demonetization last November was the absence of non-cash payment systems within India. Most merchants were cash-only as payment terminal penetration is fairly low since plastic cards are also in fairly low supply. According to the government’s estimations, there are about 57.7 million merchants in India but only 1.5 million digital payment acceptance locations. The common reason for not having them is cost — both of the terminals themselves and of accepting swiped transactions. BharatQR goes after the problem differently. 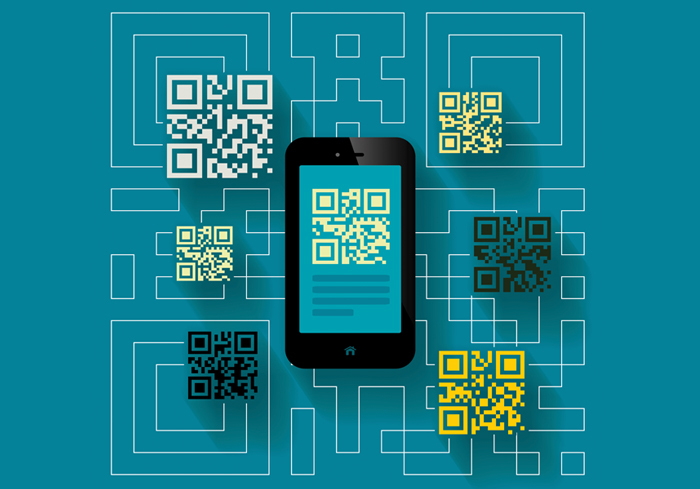 Under the new system, merchants will be able to generate their own QR code that will be interoperable with all banks. The system was co-developed by Mastercard, Visa and RuPay and is designed to make the codes present in as many merchants as possible. The government-backed National Payments Corporation of India (NPCI) has additionally partnered with 14 major financial institutions, including the Reserve Bank of India (RBI) and ICICI Bank, to support BharatQR, which is also compatible with Visa, Mastercard, Amex and RuPay. “It is completely ‘Made in India’ … We look forward to leveraging our technology backbone and partnering with the government and the industry to create a robust, safe and secure digital payments ecosystem,” said Mastercard Country Corporate Officer and Division President (South Asia) Porush Singh, who further noted that Masterpass QR was developed and created at its technology center in Vadodara. The advantages of the system are threefold, according to NPCI. First, consumers will not need to scan different QR codes at the same merchant depending on what payment network they are using — these codes are designed to be interoperable. And consumers can use any type of phone, including feature phones. Smartphones are not essential for use with this system. 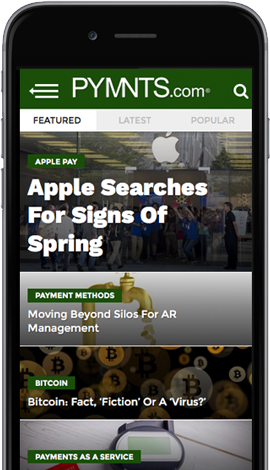 Which leads to the second advantage — merchants will only need to display one QR code at the storefront or through the acquiring bank’s mobile application. And, noted NPCI, that integration is designed to be plug-and-play easy. Finally, the system is potentially portable — very portable. The underlying specification for BharatQR can be implemented in other countries. The rollout of BharatQR will likely cause some fairly major and notable ripples. As we noted earlier, India’s demonetization has been big business for the nation’s largest mobile wallet provider, Paytm. But now, Paytm has some very advanced capable competition on QR code field looking to raise the level of its game. The firm has announced it intended to invest Rs 6 billion ($89.6 million) to help merchants across the country to start using its QR code-based payment solution. But the government is clearly pushing its interoperable solutions — and pushing them out quickly. In December, Prime Minister Narendra Modi launched the NCPI-backed BHIM app. India’s government has also formulated UPI so that banks can make sending money about as easy for consumers as sending text messages. As of now, most Indian banks support UPI. And the Indian government is committed to bringing digital payments to those who don’t actually have smartphones. Also in the works is a fingerprint scanner-based PoS terminal where customers can simply scan their fingerprint to make payments. Will it solve the problems India is having making its great cashless leap forward all at once? Likely not — there are an awful lot of rural Indians who are unsure as to what mobile payments are and how to use them. But the Indian government says, if necessary, it will teach classes, because the benefits will outweigh the harms, and it appears a good deal sooner than anyone thinks.